Today it is my pleasure to Welcome authors Tara Taylor Quinn, Heatherly Bell, Claire McEwen, Jo McNally, Kristina Knight, Kris Fletcher, Janet Lee Nye, Angel Smits, Dana Nussio & Lisa Dyson to HJ! 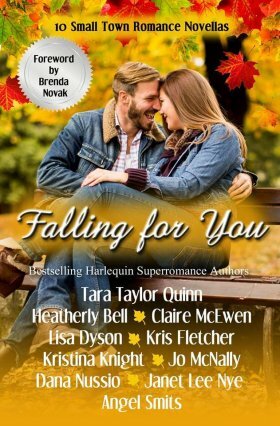 The authors of the Falling For You anthology are visiting Harlequin Junkie today, to get you some insider scoop into the anthology! We’re sharing a few ‘fun facts’ about each of our small town novellas. It Was You is the 13th book in a 16 book series. The other fifteen are published by Harlequin Superromance. While I was writing this novella about a professional baseball player in California, I attended a small private function with a California professional baseball team and sat right behind them. I didn’t know about the function when I started the story. My best friend and I became god-mother to each other’s children and take the position as seriously as Clairisse does! Kris Fletcher, author of If I Fall: Whitney lost Jed’s friendship once. 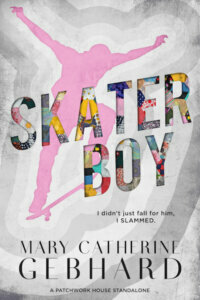 She refuses to risk losing him again – even if her feelings blew past friendship a long time ago. Whitney isn’t the only one who loves hazelnut lattes – they’re my favorite, too! This is the first story I’ve written in first person in at least five years. It was such a treat to get back into that groove! The story revolves around three kisses. The timing wasn’t right for the first two. But the third time is the charm! My hero, Ben, is a biker, complete with leather and tats and life on the road. But I don’t consider him an alpha hero. The novella is dedicated to my late father’s memory–Dad taught me to appreciate small towns and mountain lakes. The house in this story is loosely based on my childhood home – I just moved it to a lake! Aiden has a slight classic car addiction. Julia is a big-city girl in love with small town life. Janet Lee Nye, author of Harmony Jenkins Comes Home: Jericho Falls was the last place she wanted to be but she was learning it might be the only place she could find happiness. Jericho Falls is a completely made up town based on all my favorite things about all the Western North Carolina towns I’ve visited. 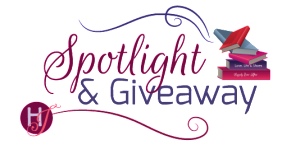 There is a hint about the second Jericho Falls novella (still to come) in the 3rd of my Harlequin Superromance Cleaning Crew series, “Boss Meets Her Match”. Logan Rutledge, the heroine of JF2 is introduced. In the bowling scene of “Harmony Jenkins Comes Home”, when she drops the ball on her first attempt, that was based on my own real life experience with bowling for the first time. Heatherly Bell, author of The Right Man: When one long planned dream day veers wildly off-course she must decide between the perfect wedding, or the right man. June 21st, Trish and Jimmy’s wedding date, is my wedding date. Originally the novella was to be about Jimmy finding love with someone new after the break-up with Trish, but it turned into a reunion romance instead. Gilroy is a real town and the Garlic Capital of the World. 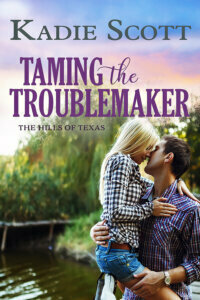 Claire McEwen, author of Her Hometown Cowboy: Falling for him wasn’t part of her plan. I purposely gave my heroine a sweet name, Daisy Garland, that doesn’t match her personality very well. I did it partly because I have always wondered what happens when someone names their child something like ‘Sunny’ or ‘Charity’ and their temperament doesn’t match that name! And it was also fun to watch Daisy find that sweeter side of herself as the story went on. One of my favorite moments in Her Hometown Cowboy is when Daisy gets frustrated with the hero, and herself, and stabs a jack-o’lantern in the eye! The Benson Fall Harvest Festival plays a big part in a couple of my other books, Convincing the Rancher and Return to Marker Ranch. I can see it all in my head so clearly, I feel like I’ve actually been there multiple times. I hope, after reading this story and my books, that readers feel that way too! Dana Nussio, author of Home to You: Can a woman who ran from home and a man who never had it ever hope to discover that home really is a place for hearts? In the scene where C.J. and Lily are making cranberry sauce, I based the steps on a recipe by my friend, Amanda Saab, a food blogger and past contestant on FOX’s Masterchef. <a href=“http://amandasplate.com/?s=Thanksgiving”>Try the recipe for yourself here</a>. The words in Chapter 1 might be a bit sun-kissed as they were written in spiral notebook, poolside, during a Spring Break getaway to Treasure Island, Florida. A few pages just might have been smeared with splashes. My husband had a cameo in this story through C.J.’s laborious process for making a “real pumpkin pie.” My guy scrapes, bakes, purees and freezes the pumpkin flesh each year just so I’ll make him pumpkin pies (from my own recipe) at Thanksgiving and Christmas. Lisa Dyson, author of Can’t Help Falling in Love: She’s career-oriented, and he’s the one who just broke her boss’s heart. My series, TALES FROM WHITTLER’S CREEK, is based on fairy tales. Can’t Help Falling in Love takes place at “Cinderella’s” wedding. When describing the creek that Whittler’s Creek is named for, I pictured the creek (or crick as we called it) that ran through the playground where I grew up. Whittler’s Creek, Maryland, is a fictional town, based on a combination of several real towns in western Maryland. The pigs in PERFECT FIT are real. Pork Chop and Hamlet belonged to my friend Paul. He shared some funny stories of raising them with me. The cover for my first book in the CHAIR AT THE HAWKIN’S TABLE–A FAMILY FOR TYLER–featured my editor’s son as Tyler. He’s a character in this story as well. The whole idea for the chairs–of the siblings each taking a dining room chair when their mother passed away, came from a friend of mine whose siblings all did that. I thought it was such a sweet idea! Sounds like an awesome book. Have read most of you, some I haven’t read. This sounds like a great story to read! Thanks for the chance! Novellas are a great way to discover new authors. The book sounds fantastic. I love that you get ten novellas. I might find a new favorite author. Thanks. This book sounds wonderful and I’ve heard good things about it.Can’t wait to read this. Sounds like a great collection and just in time to be a holiday gift! What an amazing collection. Loved all of the fun facts thank you. What a nice introduction to new authors in the Super Romance line. I’ve only read Tara Taylor Quinn and Brenda Novak of the authors listed. I’m a huge fan of the Special Edition line so I’d like to visit Super Romance’s small town’s anthology. Thanks for sharing the background tidbits which make the stories unique and special for the authors. I like fall for hiking to see the beautiful fall color, the camaraderie of football season, the yummy apple recipes, Thanksgiving and sweet memories. Sounds like some great authors. What an interesting book for the fall season! Thanks for sharing. All of these stories sounds really good. I love the idea of each of the siblings, taking a dining room chair when their mother passes away. Love small town roms… sounds great! What a great collection of authors!! Looking forward to reading this one!! Sounds like a great collection and a wonderful way to try new to me authors! I really want to read your book. I’m half way through the book…loving what I’ve read so far! I’ve ordered the falling for you. Would love to read more stories in those series. Thanks for this opportunity. Oh my…that looks so good! I love when they are about our current season or holidays!!! So fun to read…and I love when they have multiple authors! I love being able to read some from authors I have not read before. GREAT way to find new favorite authors! Fall is my favorite time of the year. Anthologies are also a favorite. During this busy time of the year, the shorter stories are often the only reads I can fit in and complete during what little free time I have. This book has some authors I have enjoyed reading and some new to me authors. There is a nice selection of stories, locals, and what situations. It sounds like small towns are a favorite location for them to set their stories. I love anthologies – sometimes I want to get to the HEA in one sitting. Sounds like a great collection of stories. Would love to read. Thanks for the chance. This sounds great! Just what I need for a delicious fall read. This looks like an awesome anthology with some really great authors. I love small town romances. Each story sounds awesome. Can’t wait to read them. A lot of great authors here. I look forward to it! Sounds like it’s going to be great! The collection sound great, I really enjoyed the behind the scenes from each author. This collection landed on my Kindle late last night. Can’t wait to start. There are some great authors that I have already read, but also some new ones that I have yet to enjoy.